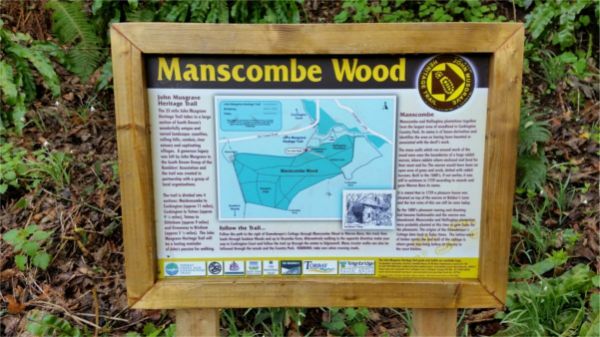 A route devised by South Devon Ramblers and Torbay Coast & Countryside Trust in memory of John Musgrave, a former chairman of South Devon Ramblers, whose generous legacy to the group has been used to fund the development of the trail. 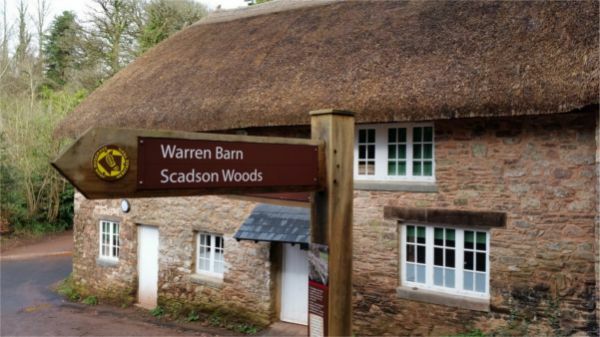 The route explores over 40 of South Devon's finest heritage features and takes the walker past creeks and castles, along the coast and through rolling meadows and woodland on footpaths, tracks and quiet lanes. Information and interpretation boards are provided along the route. The trail, which is accessible by public transport, is divided into four sections ending at Cockington, Totnes, Dittisham and Brixham. From the start in Maidencombe the trail passes the Valley of the Rocks to reach Watcombe, going inland to skirt behind the suburban areas of Torbay visiting Kingskerswell, Cockington, Marldon and passing Berry Pomeroy Castle to reach Totnes. The route then coincides with the Dart Valley Trail, crosses over the Dart at Greenway Quay and continues through Churston Ferrers to the coast where it joins the South West Coast Path to finish at the William of Orange statue in Brixham.